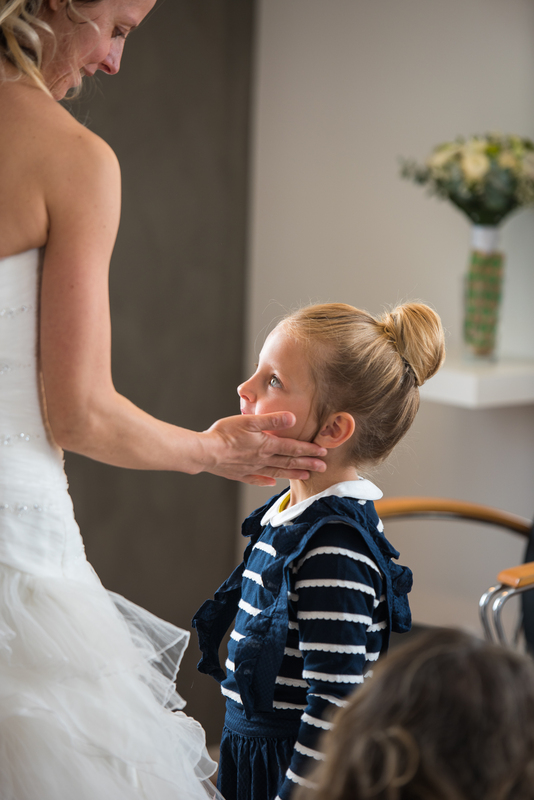 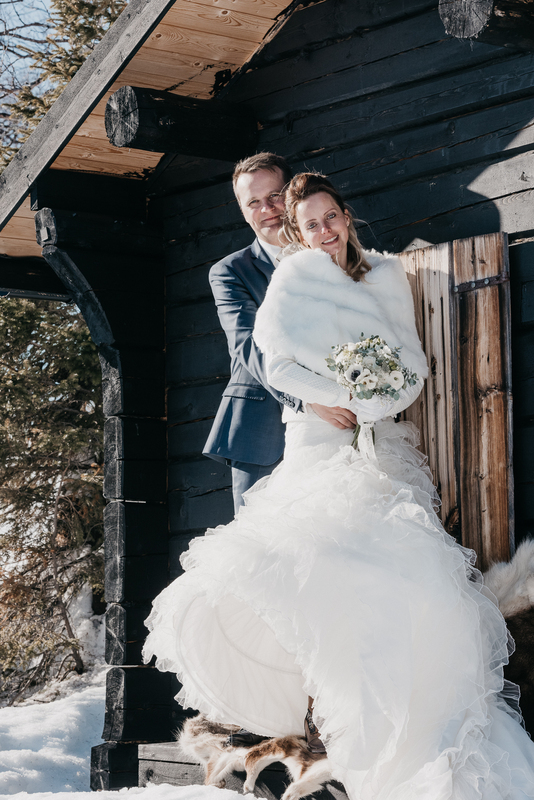 Ingrid and Rikard lives with their three children in the French Alps. 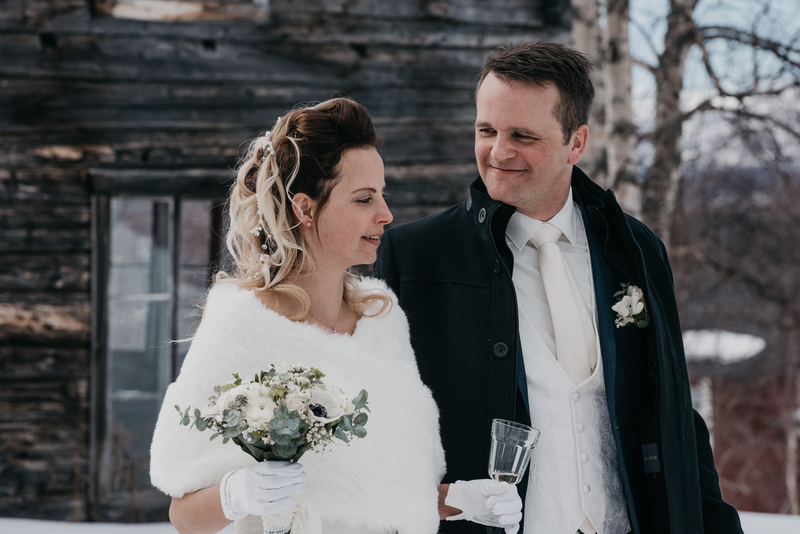 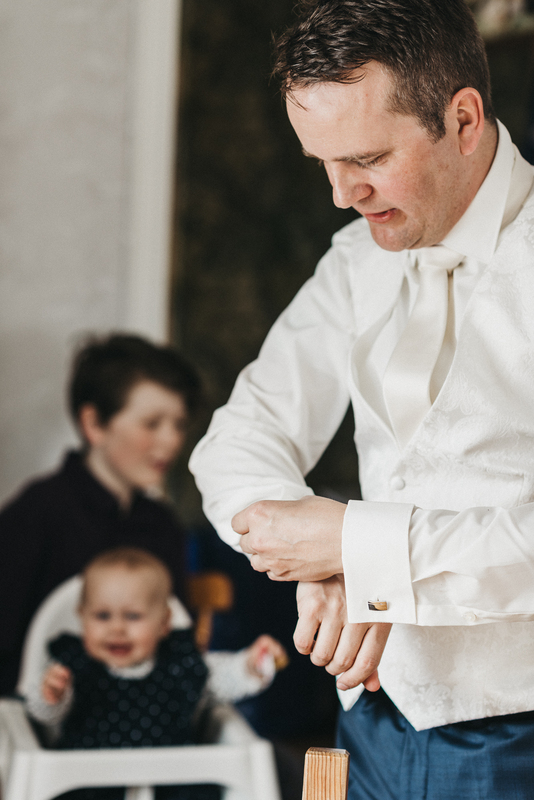 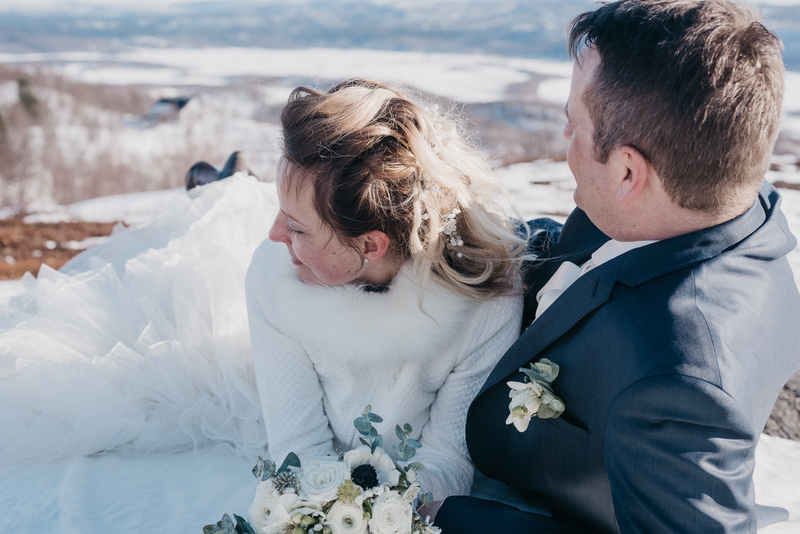 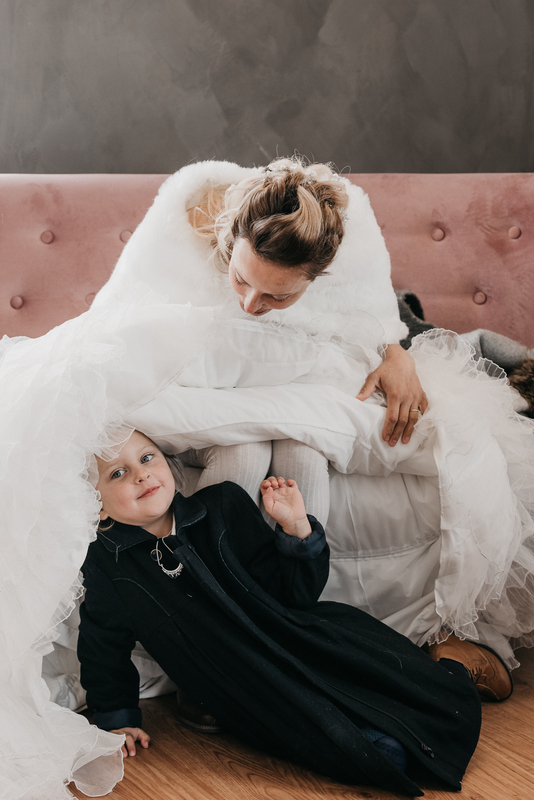 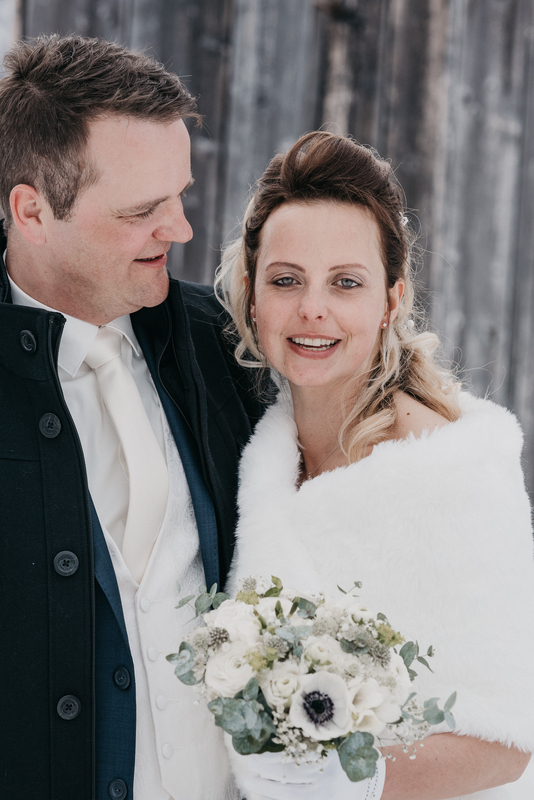 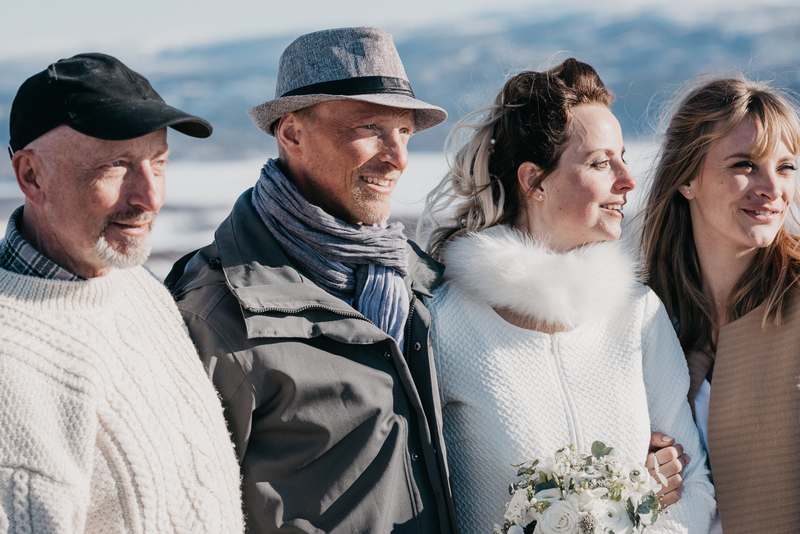 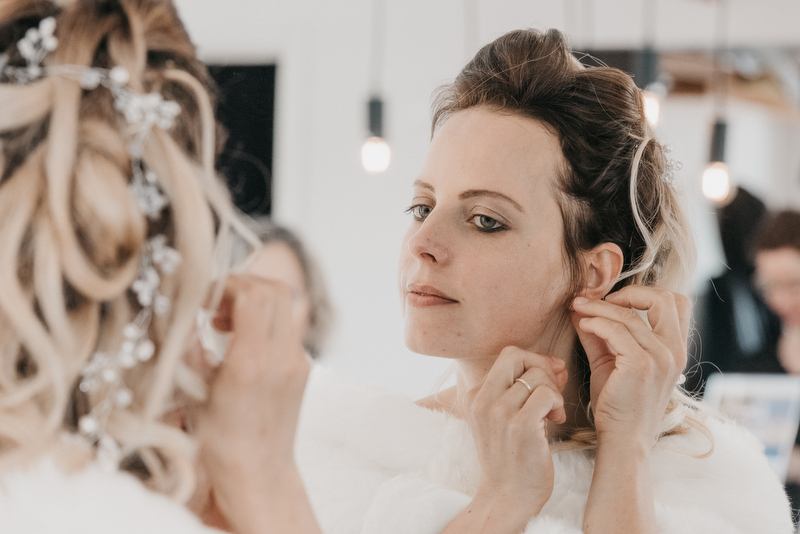 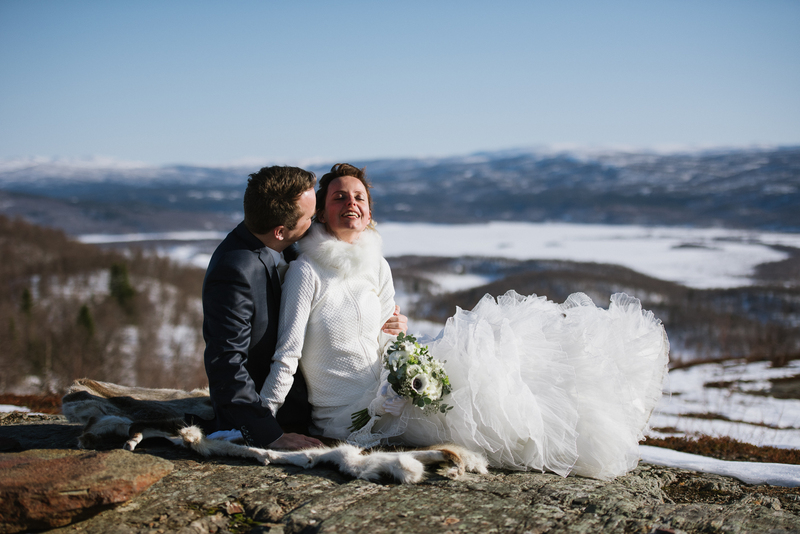 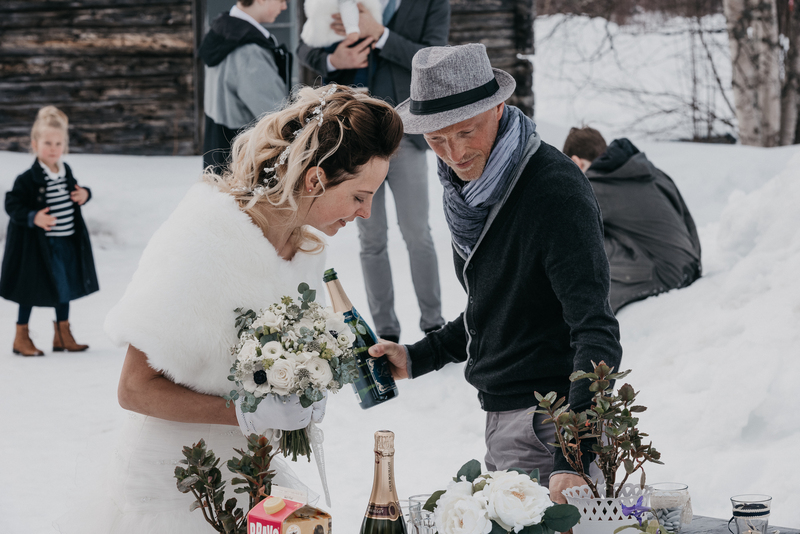 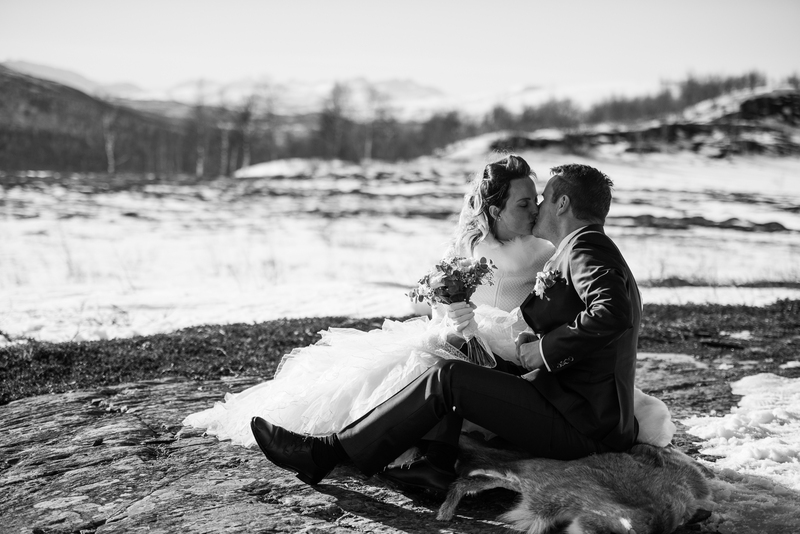 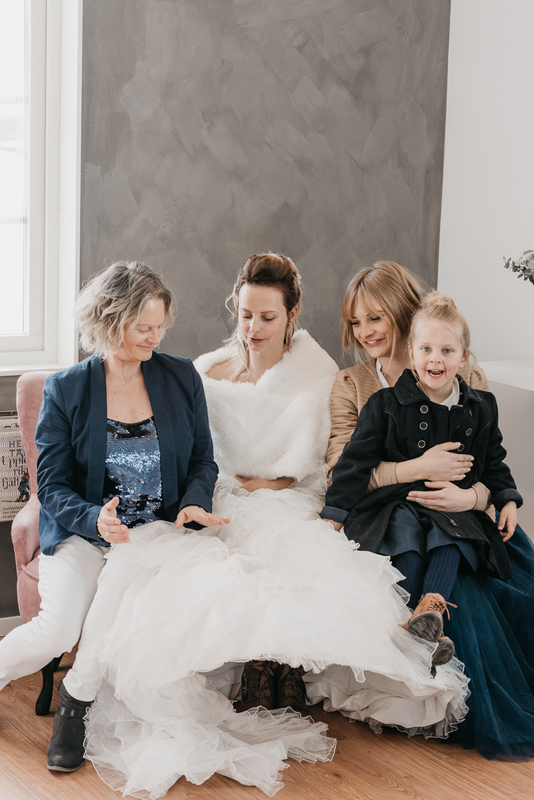 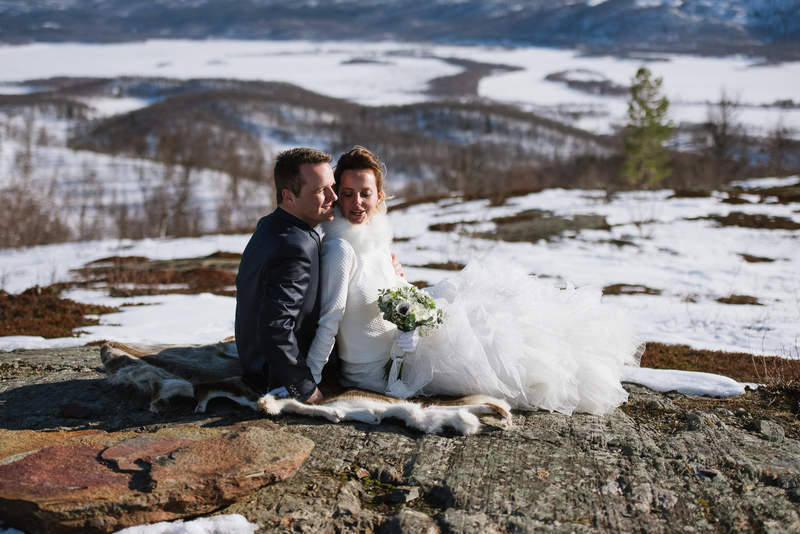 Since Rikard is born in Umeå and spent a lot of time in Hemavan when he was young, the couple decided to have their wedding in Hemavan. 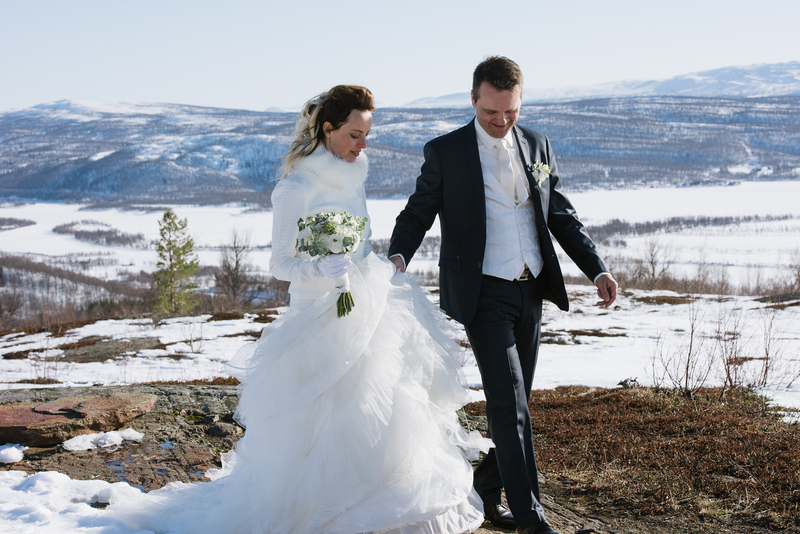 Ingrids closest family had travelled up to Hemavan, Lapland in the north of Sweden to participate in the wedding. 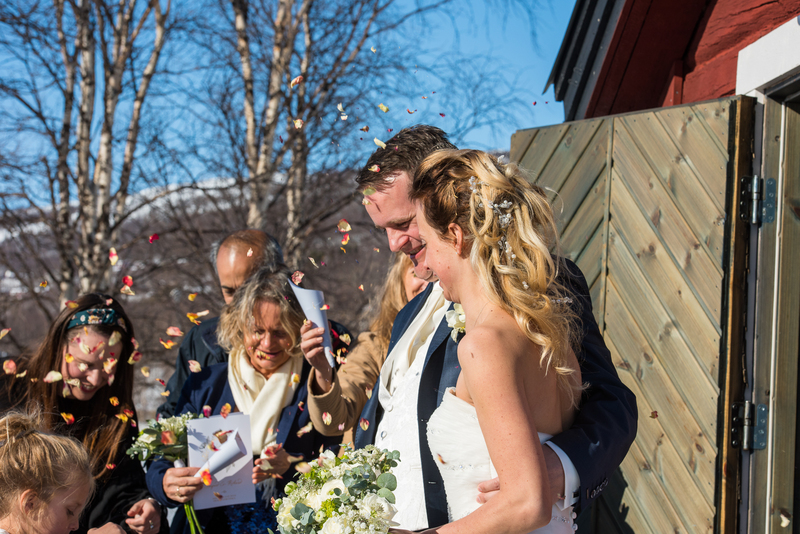 For me as the wedding photographer the bright april sun was the biggest challenge this glorious winter day in the middle of april. 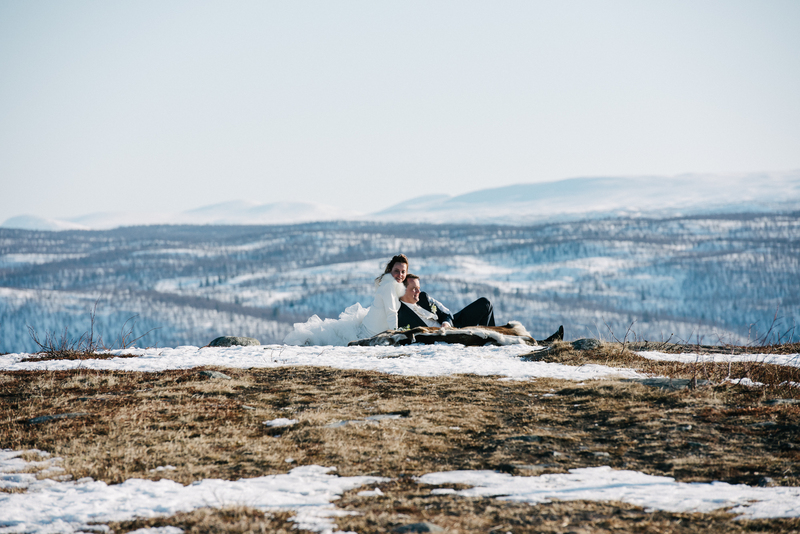 Luckily Ingrid and Rikard was very flexible and we decided to take the portrait photos after the wedding in the late afternoon. 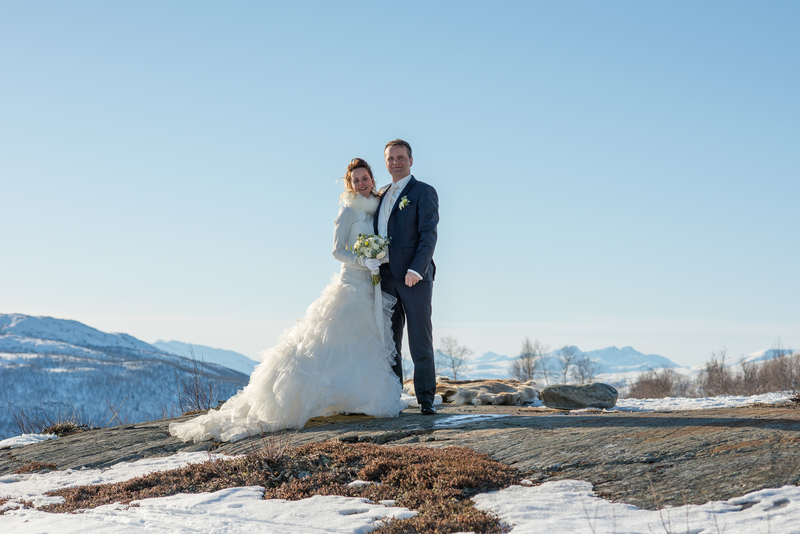 I followed the couple and their families from noon until time for the dinner and had a really nice time with them.